The training course is specifically designed for companies that sell services or products to Russia. We will provide the company with information on the documentation it requires in order to deliver and commission its products and systems in the area of the Eurasian Economic Union (EAEU) and on how to apply for the EAC certificate. We analyse the company’s products, distribution channels and special characteristics. 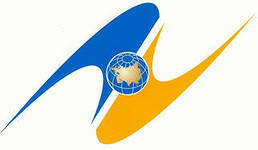 The Eurasian Economic Union (EAEU) was created in part in response to the economic and political influence of the European Union and other Western countries. As of May 2018, member states include Armenia, Belarus, Kazakhstan, Kyrgyzstan and Russia. We offer comprehensive EAC Eurasian Economic Union conformity certification services. We advise companies on the documents that are required for export and commissioning operations in Russia and other member states of the Eurasian Economic Union (EAEU). We also offer assistance in the certification process. Our company-specific certification training courses for 2019 can be booked now. The customs union has created a catalogue of compulsory certifiable products and certification right (customs union) has been granted to a few certification bodies. National certification regulations will be applied to products not included on the catalogue of compulsory certifiable products. According to the agreement made by the customs union, some products are subject to hygiene epidemiological control (inspection). The catalogue includes for example: food products; children's products; different kind of materials; equipment and substances used in water pipes and water purification plants; cosmetics and oral hygiene substances; industrial chemicals and petrochemical products, household chemicals, plastic and synthetic materials; textiles, sewing and knitting materials etc. Some products are subject to state registration (hygiene epidemiological agency). The list includes for example: mineral water, soft drinks, beer; special food products, such as children's food, food products for expectant and breastfeeding women, diet products, biologically active food additives; cosmetics, oral hygiene products; disinfectants; household chemicals; possibly dangerous chemical and biological substances; different kinds of materials, equipment; equipment for drinking water piping; personal hygiene products for children and adults etc. In the form of Certificate of Conformity, for example: electrical engineering products, kitchenware, tools, electronics, heating devices, computers; road construction materials (sand, macadam); agricultural machinery, forestry machinery, railway equipment; footwear, clothing; different kinds of products for children, toys; rowing boats; furniture etc. In the form of declaration granted by a certification body, for example: rechargeable batteries; underwear, bedding; tobacco; fish products; coffee, tea, spices etc. In the form of declaration granted by the maker, for example: clocks; glass bottles, tableware used by adults; detergents, sanitary products etc. The amount of obligatory certifiable products has decreased, but on the other hand, new regulations and requirements have been introduced. Depending on the product, export and sales for example to Russia may require GOST R certificate or certificate according to technical reclamation or declaration and so on. GOST R certificate to Russia, GOST K certificate to Kazakhstan, UkrSEPRO certificate to Ukraine and BelCT certificate to Belarus. pekka.peltonen(a)gost-r.fi. Ask for an offer: pekka.peltonen(a)gost-r.fi. Markinvest Ltd certification services has been selected as a provider of GOST K certificates for a Swedish industrial company exporting goods to Kazakhstan. Prior to this, GOST K certification has been provided to British and Czech industry for export, sales and introduction. Kazakhstan is a potential marketing area for many Finnish companies. Exports from Finland include paper, chemicals, building export, small house export, machinery and equipment of different kinds of industry, environmental technology such as water purification, equipment needed in energy production and so on. - coffee, tea, cocoa and chocolate producing industry etc. Markinvest Ltd certification services is a strong partner whenever a company is in need of certificates to Russia, Kazakhstan, Belarus or Ukraine. Make sure that the goods can be imported to the territory of Russia and Customs Union. At "Markinvest Oy" you can get required certificates for export to Russia and Customs Union: Ukraine, Belarus and Kazakhstan.